Victoria actress MARGARET CLUNIE reveals what makes her on-screen lover so beguiling, why being on set felt like boarding school and how she reckons Prince Albert and his queen have influenced today’s young royals. I scarcely recognise the lady before me without her ringlets. 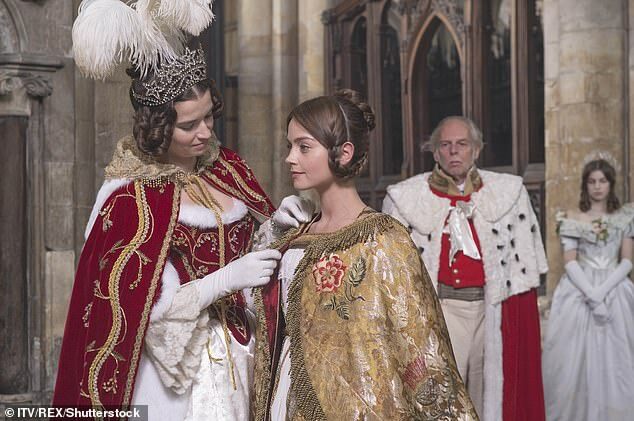 I am having an audience with actress Margaret Clunie, who portrays an actual lady – Harriet, Duchess of Sutherland – in ITV’s acclaimed period drama Victoria. But Margaret, a graduate of Oxford School of Drama, who hails from Rickmansworth, Hertfordshire, is up to the challenge. A willowy brunette, she has an intense gaze – which she has put to good use as the brooding duchess – but this belies an easy manner and a tendency to erupt in giggles. She has relished taking on the role of Harriet, who will next appear on our screens in tomorrow’s much-anticipated Christmas special. The drama has been a hit, attracting some five million viewers, with the first series overtaking BBC’s Poldark in the coveted Sunday-night slot. The work of writer/producer Daisy Goodwin, it takes place in the 1840s – during the early years of Queen Victoria’s reign – and chronicles the trials and tribulations, personal and political, of the young queen, her husband Prince Albert and her court, of which Margaret’s character is an integral part. As the queen’s Mistress of the Robes – ‘which roughly translates as the person who picked out her jewellery and was in charge of doing the rotas for her ladies in waiting, like a 19th-century version of a Google calendar’ – Harriet was ‘basically, her right-hand woman’. She has since brushed up on her knowledge. ‘I would have liked being a Victorian – taking life at a slower pace and the lack of social media would be blissful. I love writing letters. She particularly enjoyed ‘delving into’ the character of the duchess – ‘a force of nature and lifelong friend of the queen who had a super-glamorous life; she was close to [Prime Minister] Gladstone, hosted diplomats and lived in beautiful homes’. Harriet has been a hit with viewers, with part of her screen appeal owing to the forbidden romance that plays out between her and Prince Albert’s elder brother Ernest, ‘a bad boy with a heart of gold’. 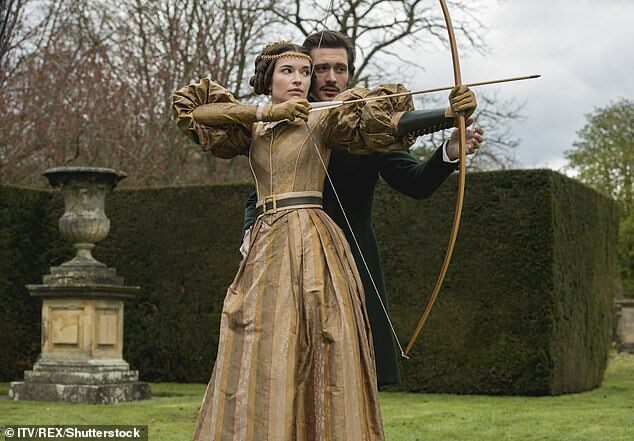 Harriet and Ernest’s relationship was left on a knife-edge at the end of the second series: she escaped the court to get away from the heat of their attraction, then returned as a widow after her – dull – husband, the Duke of Sutherland, was killed in a riding accident. Ernest planned to propose to her, until he discovered that the syphilis he thought he had cured (with mercury vapours) had returned, and so he jilted her. ‘I really feel for Harriet,’ says Margaret. ‘Her marriage wasn’t satisfying, but she had to stick with it [although the attraction between her and Ernest was potent enough to be noticed by Prince Albert and others]. This tangled romance is set to take centre stage in the Christmas special, with the storyline continuing six months on from where we left off. Margaret is careful not to divulge too much. She offers that ‘there will be everything you would hope for from a big Victorian Christmas: ice skating, lots of children and the most beautiful trees, eight massive ones, all decorated with exquisite handmade ornaments; there’s an amazing scene where they do the big reveal’. Margaret concedes that this love story may be only loosely based on historical fact. ‘I’m not sure what really happened or how many times they met.’ But she thinks that Goodwin’s storyline was a stroke of genius. Like Victoria and Albert, Margaret is blissfully newlywed herself, having married her beau of nine years, musician Tom Bull, in December last year. It was a Christmas-themed London wedding; she wore an off-the-shoulder gown ‘with a sparkly thread running through’, custom-made for her by the fashion label Eponine, for whom she has modelled. ‘I totally relate to how in love Victoria and Albert were,’ she gushes. ‘No one tells you what a thrill it is when you get home from honeymoon and it hits you.’ But while Victoria can’t bear to be parted from Albert, Margaret has not found her filming schedule – and the weeks spent up north – an issue. As a fellow creative, Tom ‘gets it’, and she returns to their South London home most weekends. Margaret had a happy, straightforward upbringing. She has an elder sister, Alex, who works in the art world – ‘she produces amazing light installations’ – though neither of her parents is creative. ‘I don’t know where our passions for art and drama came from. I can’t say they encouraged it, though they are very proud. My dad is retired – he worked as a consultant and mum was a medical secretary.’ As a child, Margaret was ‘always in all the school plays and choirs’. And she dreams of performing Shakespeare on stage. For now, though, a third series of Victoria is top of her wish list (something viewers will be rooting for, too). As someone who has made her name in a drama about the royal family, what does she make of our current crop of royals, I wonder? It remains to be seen if happiness will be on the cards for the Duchess of Sutherland this Christmas, but I have no doubt – as Margaret departs with a flick of that perfect straight hair – that the lady who plays her has it in abundance.